12.9-inch iPad Pro still in works? In recent months we've heard plenty about Apple's rumoured plans to offer iPhone 6 size options for the first time. Speculation on Tuesday suggests the firm may be planning a similar strategy for the iWatch too. 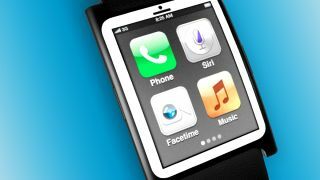 According to the Economic Daily, the firm is plotting an iWatch with a 1.6-inch display and a further two with 1.8-inch displays, once of which featuring a sapphire crystal display. The site claims Apple is planning for a Q3 launch this year, but all recent speculation has pointed a holiday release for the long-awaited wearable device. Interestingly, Economic Daily also claims Apple is still on track to launch an iPad Pro, an ultra-premium high end tablet with a 12.9-inch display. That talk was all the rage a few months back, but there's been little word lately as the iPad Air 2 and iPad Mini 3 talk begins to gather momentum. The report says it'll be available by the end of the year. As with all Apple rumours, it's important to take this latest information with a large shaker of sodium chloride.